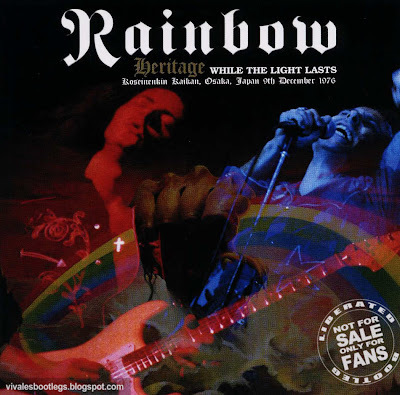 Recorded Live at Koseinenki Kaikan, Osaka, Japan - December 09, 1976 . Ex Soundboard Recording :: Japanese Bootleg :: Silver CD :: CBR 320 kbps. Files: 13. :: Size: 129,02 MB. 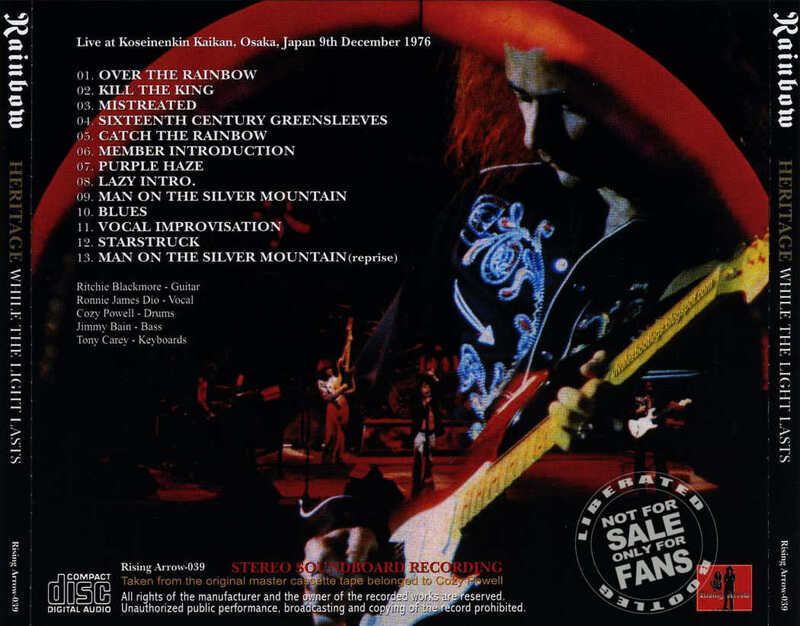 Personnel: Ritchie Blackmore: Guitar :: Ronnie James Dio: Vocals :: Jimmy Bain: Bass :: Tony Carey: Keyboards :: Cozy Powell: Drums . Notes: Rainbow Heritage: While The Light Lasts (Rising Arrow-039) is live from the Koseinenkin Kaikan, Osaka, Japan on December 9th, 1976 from a soundboard recording. The original master cassette tape belonging to Cozy Powell is used. Amazing! Parts of this show were already on the Time Standing Still boot but it's great to have at least half of the show in such quality. Here's hoping for the second half too! Fantastico,thanks a lot and more for your superb work on this site!! Part 2 of the file is missing with Rapidshare, Megaupload and Hotfile. New files added. Thanks for your report.